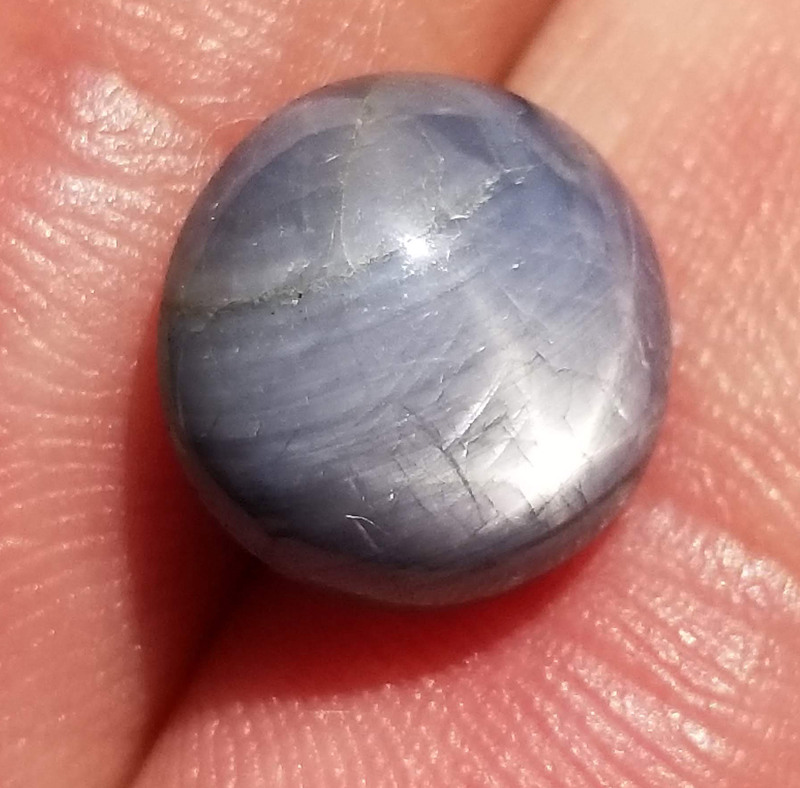 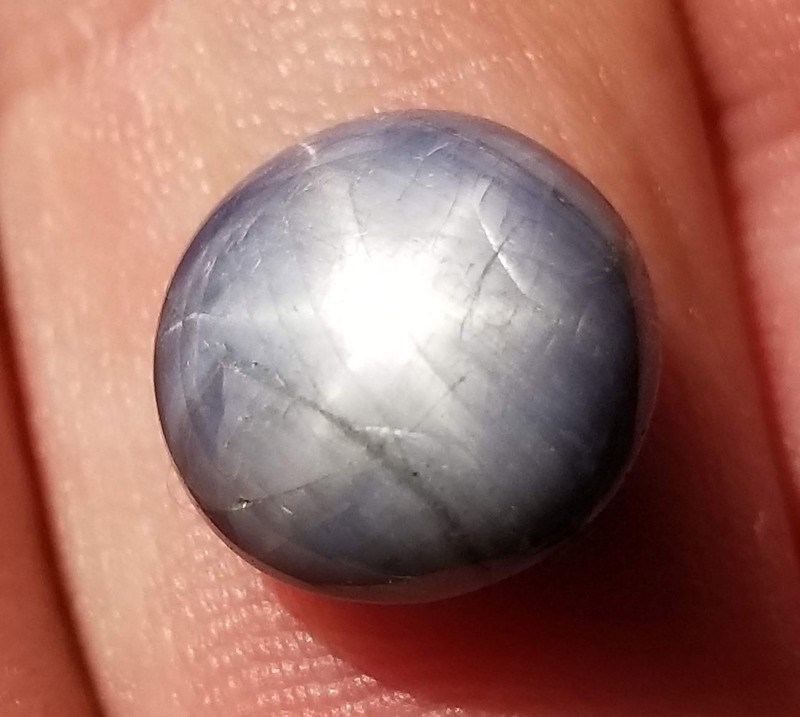 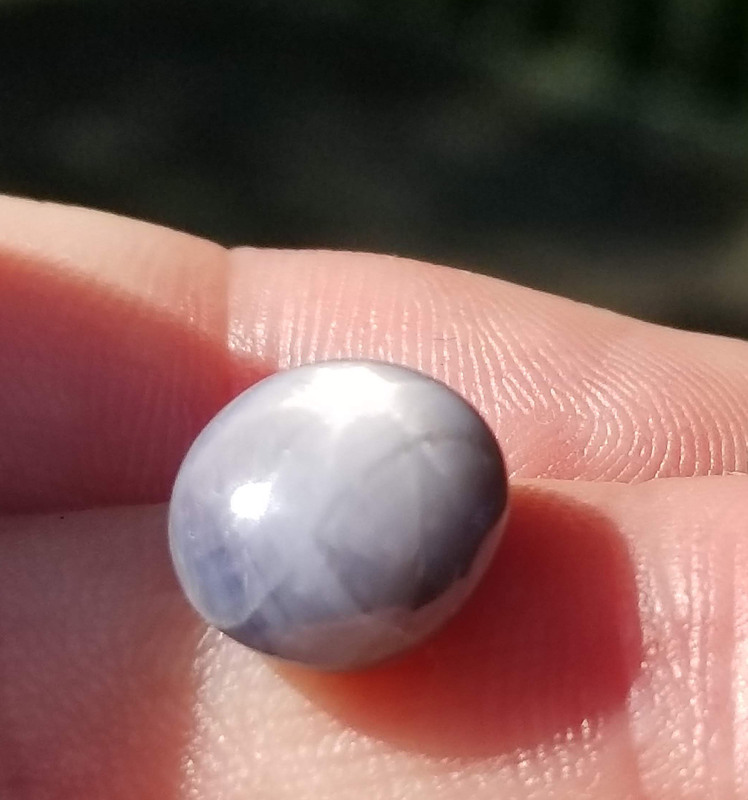 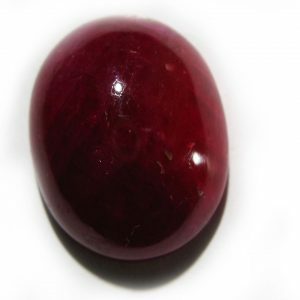 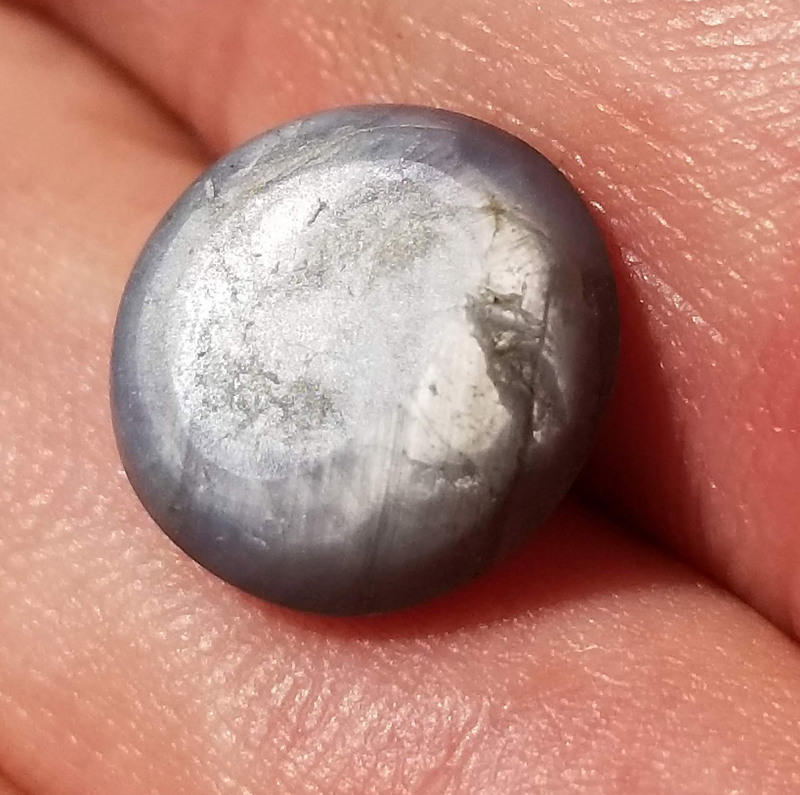 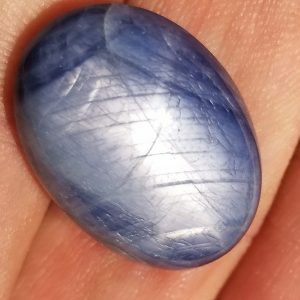 I Love my star sapphires, luckily I have seen big, small, red, blue, black, brown, orange yellow, rarely green (long story about why they are so rare), but I love finding one with a strong star. They (the Sri Lankans) say the three crossed rays are said to represent faith, hope and destiny. 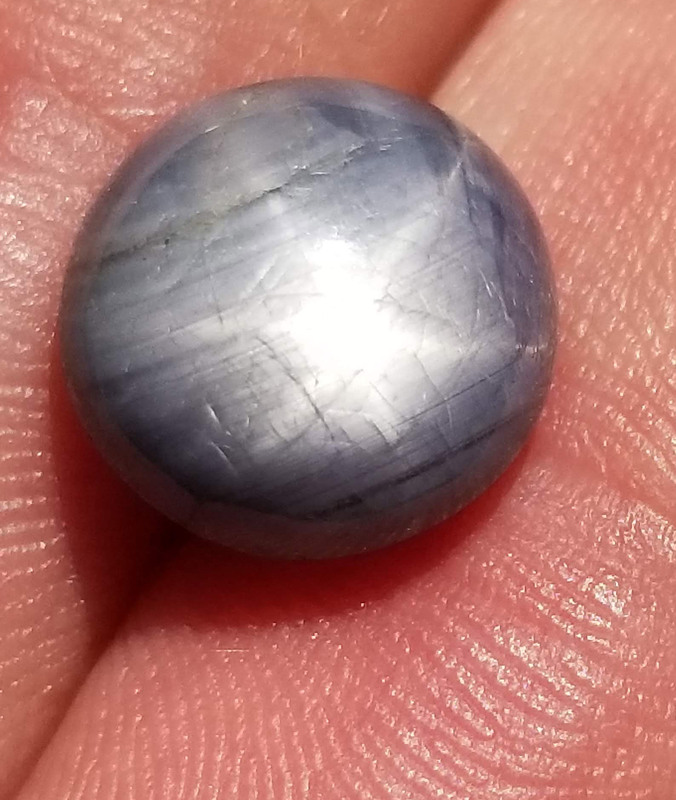 This star I found way back on 2009 at a gemstone market in Thailand. 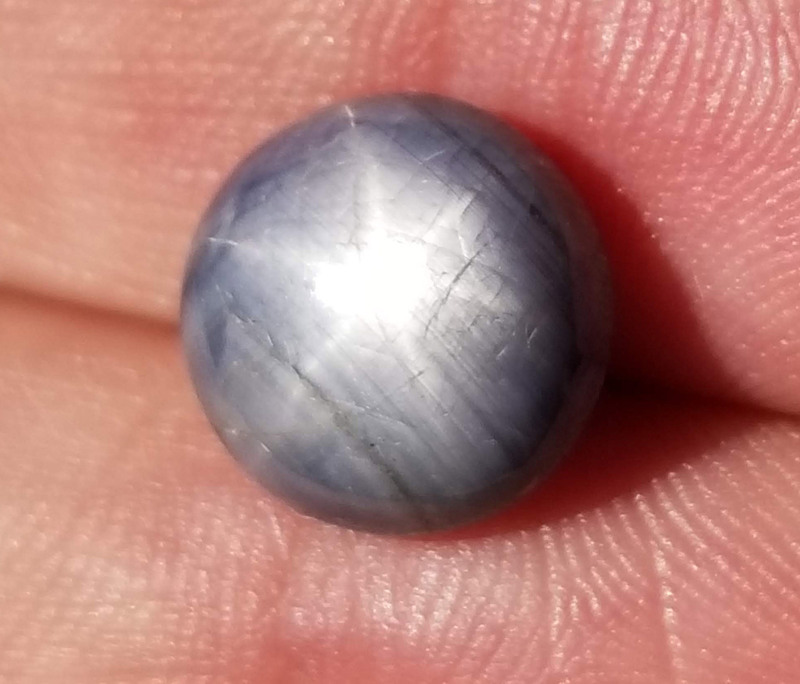 I loved its warm gray color with a slight underone of blue, it’s strong vibrant star and its round shape. 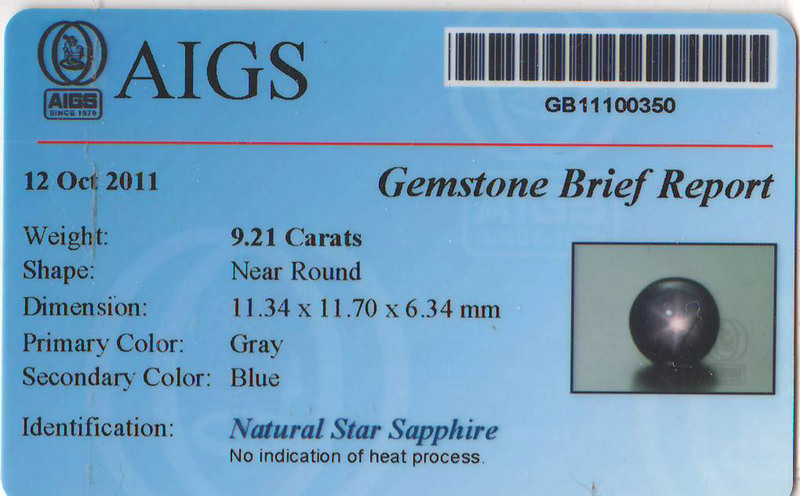 This star has been certified ny AIGS (Asian Institute of Gemological Science) as natural and unheated.